James, I'm hugging you tightly right now!!! James, I am so sorry to hear of your loss. You and your family are in our prayers. You have Kay's and my deepest sympathies and prayers. James, losing a father is tough. Stay strong through this trying time. I am so sorry James. You and your family are in our thoughts and prayers. James, so sorry to hear of the loss of your father. I am very sorry for the loss of your father... 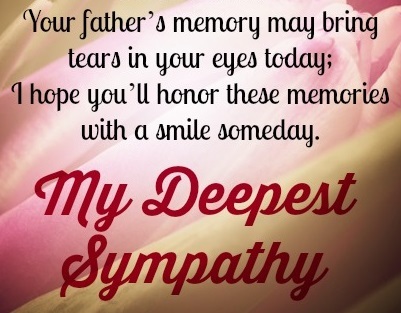 I wish you and your family well in this time of need..
James, I am so sorry to hear of the loss of your Father. I remember fondly sitting and talking with you and your Dad at more than one Fan Fair. James, My heart goes out to and your family. James, Jeanie and I are both very sorry to hear of the loss of your father. Our thoughts and prayers are with you and your family. Terri and I are very saddened by your loss. We only have one dad. I talk to mine every day. Consider yourself hugged. So sorry to hear this James, I always enjoyed visiting your family. Y’all will be in my prayers. So very sad to hear you lost your Dad James. My Prayers are with you & family. This is sad news indeed. James, so sorry for your loss. Hang in there! Sympathy to you and your mom. James, my deepest sympathy for your loss which I am so sorry to hear about. Sorry for your loss, James. James, I'm so sorry to hear this. I had a lot of good talks with him at past Fan Fairs. He was a great and kind man who sure thought the world of you. Keep your chin up & make him proud. James, Jane and I are so sorry to hear of your devastating loss. Our prayers are with you. Sending all our love from your Fan Family. My deepest sympathy for your loss, James. We will keep you in our thoughts and prayers. So sorry for the loss of your Dad !! Lorraine and myself are keeping you and your Mom in our thoughts and prayers !! James: Sorry to hear about your loss. Take Care. Page processed in 0.2469 seconds (21% database + 79% PHP). 28 queries executed.